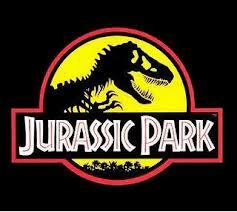 Cloning and Jurassic Park research papers look at the use of cloning technology in the book Jurassic Park by Michael Crichton. Cloning is a very broad term; it can mean several things in a scientific sense. For instance, cloning can mean molecular cloning, nuclear somatic transfer or embryo twinning. The cloning that most people are concerned about is the nuclear somatic transfer type of cloning. For, it is that type of cloning that is associated with Dolly the sheep. Dolly was produced using an adult cell's nucleus and then implanting that nucleus in an egg cell, which has had its cell nucleus removed. When comparing this type of cloning to that found in the book Jurassic Park by Michael Crichton there are only a few similarities. However, the questions posed by the book are also posed in real life when the Cloning and Jurassic Park of cloning is introduced. In Jurassic Park there are two different types of cloning discussed. One way that is discussed is a method invented by a Dr. Loy. The method Dr. Loy used was a "antibody extraction technique." Basically, what Loy's type of cloning did was take the dinosaur bones, grind them up and extract blood cells and proteins in an attempt to get a strand of DNA. However, Loy's method is used only as a back up to the cloning that produces a full strand of DNA, which is need for the cloning of a dinosaur. The primary method used by the staff at Jurassic Park is the use of insects that were trapped by prehistoric tree sap. The thought behind the cloning in Jurassic Park is that some of the insects in the amber sucked the blood of the dinosaurs before being trapped in the sap. Therefore, when the scientists extract the blood out of the thorax of the insects it may contain dinosaur blood, thus the strand of DNA needed in order to clone the prehistoric animals. Arguments Against Cloning - There are many arguments against cloning a student can write about. Human Cloning - Human Cloning research papers custom written on any aspect of human cloning studied in colleges and universities today. Debating Human Cloning - Many scientists suggest that human cloning could be utilized to reproduce organs for individuals needing transplants and stems cells. Opposing Human Cloning - Opposing Human Cloning research papers examine the points against cloning human beings and DNA research. Criminalizing Human Cloning - Criminalizing Human Cloning research papers examine genetic engineering and whether or not it should be a crime to clone people. What is Cloning - What is Cloning is a common question for research papers to answer. Genetic Engineering - Genetic Engineering research papers show that cloning through genetic engineering has taken place for many years. Embryonic Stem Cell - In short, many opponents are afraid that embryonic stem cell research will lead to human cloning. Stem Cell Research - At the federal level, there is a statutory ban on cloning, but only an articulated policy regarding the funding of stem cell research in specified circumstances. Order a research paper on stem cell research from Paper Masters. Paper Masters writes custom research papers on Cloning and Jurassic Park and look at the use of cloning technology in the book Jurassic Park by Michael Crichton.